I don’t know about you guys but, I have been in the red, white, and blue spirit from fashion to food all week. I just love the holidays! Are you still thinking about your menu for the 4th of July? These Red, White, and Blue Kabobs will add the perfect touch to your menu. Happy Cooking! Bonus Tip: You can substitute the marshmallows for bananas. 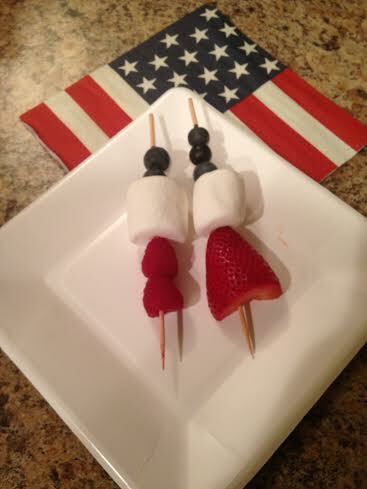 These kabobs also go great with my yummy fruit dip on the website as well. These kabobs will make a great food activity for the kids!